Producer of traditionally made Cave from estate bottled fruit in the Penedes, Catalonia, Spain. 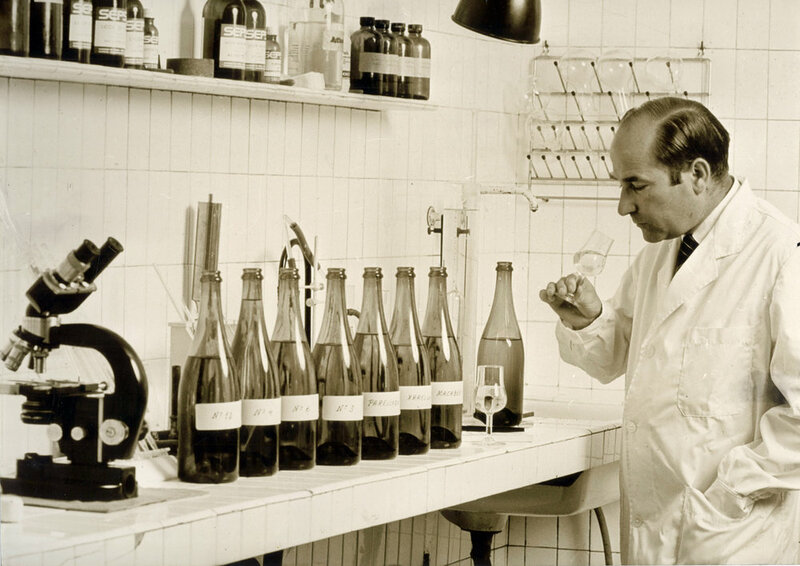 Agusti Torello gained his first experience of winemaking at the age of 14, while he was working in his uncle’s cellar. That was in 1949, and since then Torelló has been fashioning traditional Cavas at his winery in Sant Sadurni d’Anoia in the Penedès. Mata, the son of a tailor and musician, created the estate with the goal of making the best Cava in the zone. In order to achieve the complexity they seek, Torelló Mata makes Cava with grapes from a variety of districts throughout the zone and age the wines for a minimum of two years. Torelló Mata uses only fruit from vines that are a minimum of 30 years old. They have expanded their estate’s holdings to 35ha of organic vineyards and also buy fruit from growers with whom they’ve been working with for more than 25 years. Their range of Cavas includes dry and very dry, low dosage styles, focusing solely on the indigenous varieties of the area. While their neighbors may have been tempted to include ever increasing quantities of Chardonnay and Pinot Noir (permitted under the D.O guidelines) this winery prefers to craft regionally expressive Cava that reflects the unique terroir of Penedès. 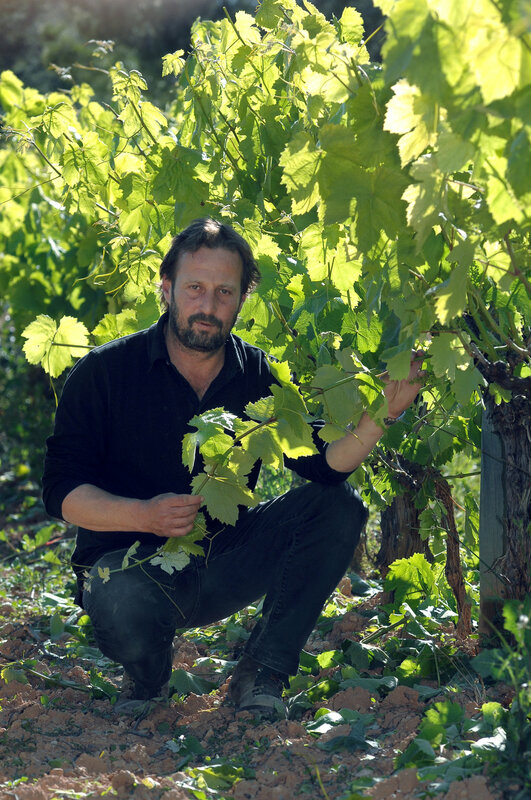 Today winemaking duties are carried out by son Alex Torelló Mata (pictured). In addition to bubbles, Agusti Torello Mata also makes a light and bright, 100% Xarel-lo from all organic, estate fruit. This playful wine was fermented in stainless steel tanks and aged on the lees for three months before bottling. Light citrus and peach notes on the nose with a light to medium body and fresh, racy acidity. This is an easy wine to like. Certified Organic. Only 11.5% alcohol. Cork closure. Food pairing: Excellent as aperitif, by the glass, but also with seafood, fish and light dishes. Xarel·lo Vermell is a mutation from the white Xarel·lo. However it’s a very old variety and we don’t know it’s origins nor how this mutation happened. This variety has almost disappeared in Penedés, and now we are one of the few wineries that are working and recovering this variety. The skin is even stronger than the white Xarel·lo so it needs to be harvested a bit later, and as the skin is literally red it gives a very special color to the wine. Each vine is picked individually as there is no single vineyard of Vermeil. A blend of 45% Macabeu, 34% Parellada and 21% Xarel-lo, the vintage-dated 2015 Brut Reserva was disgorged in October of 2018, having spent three years on the lees. The resulting wine is an excellent example of what Cava can be. The nose is clean and fruity with hints of apple, caramel and fresh herbs. The palate is elegant and balanced with well-integrated bubbles and excellent balance. Four grams dosage, 5.9 acidity and only 11.5% alcohol. Yum! 45% Macabeu, 34% Parellada, 21% Xarel-lo. Aged four years on the lees. Disgorged October, 2018. The 2011 Gran Reserva Cava is a stunning wine; a blend of 35% Macabeu, 34% Xarel-lo, and 31% Parellada all from vines with more than 50 years of age. Featuring a beautiful bright golden color with green hues and slow-evolving fine bubbles. The aroma has notes of apple, quince, brown-butter and almonds while the finish is toasty, persistent and racy. This is a beautiful wine. No dosage. 5.9 g/l acidity. Disgorged in August, 2017, after six years (!) on the lees. Food pairing:: As an aperitif. Also goes well with Iberian ham, cold cuts, seafood, fish and meat in sauce, rice, poultry, meat and semi-cured cheese.